In the last twenty years, gifted people who are highly psychic/intuitive have been given messages that a new wave of consciousness will sweep the planet and these literally involve the influx of solar flares coming to the planet. Such electromagnetic waves carry light codes, which basically trigger our human psyche , thereby causing people to ‘awaken’. (Those who understand the workings of fibre optics agree that light does carry data, which is basically information). Astrologers call this the emergence of the new Age of Aquarius. Basically, our DNA memory is activated to help us remember who we really are and what matters most. Out of that comes the realization that we must be more than our physical bodies. Wisdom from our innate starts to surface and a sense for the need of self-empowerment, equality and integrity intensifies. And that is basically what has transpired around the world through a large number of public demonstrations about unhappiness towards corruption and discrimination, amongst other issues. These days, people clamor for leaders with integrity and they also want many forms of equality such as gender equality. However, a great many people who have been benefitting from the lack of such qualities, (i.e. those who thrive on imbalances) are rebelling against these demands. As such, the world is now seen as split into two factions, with chaos taking place in almost every country. Systems of governance seem to be failing like Brexit. Currencies and stock markets take a beating. Oil prices drop way below the predictions of even the best economist. Almost everything is in a great flux and this inadvertently causes many to lose direction and security in life. Fear in people is causing many to be ungrounded/irrational. Also, a significant number of people just want normalcy of the past to return even if it wasn’t exacty perfect in the first place. However, divine messages have already been channeled, that in order for the world to change for the better, the present way of life/governance has to be demolished and reassembled from ground up. In the process, politics, economy and even religion will need to go through a recalibration period, that may jolt many people from their complacency. But the wise will cognize this stage and accept it more readily than others. A change is at hand. In the meantime, it is imperative for the general public not to panic and see it for what it is – two conflicting consciousness of humanity competing for its survival. At this juncture, perhaps it is also good to consider the wisdom of the saying – the greater the challenge, the greater the rewards. As such, the tracks for the potential of a better future is being laid now. And the ones laying the tracks … are us! Every time the term “soul mate” is brought up, people jump to the conclusion that it means their future loving spouse or partner for life. However, from my own angelic communication as well as revelations by professional mediums (e.g. Lisa Williams and James Van Praagh ) and regression therapists (e.g. Dr. Michael Newton), the definition is much broader than that. Basically the term implies another soul whom we have known prior to our birth. Often it also means we have had many shared incarnations in the past with this soul. Since it’s impossible to learn all of Earth’s lessons in one lifetime, souls do come back again and usually with familiar souls. As such, we can have more than one soul mate. Also, when soul mates meet, it can yield both a romantic or non-romantic relationship. This may disappoint people who opine that soul mates must be their future loving partners. Not too long ago, when a reiki student of mine practiced reiki on herself, she caught a vision of her past life. One the characters in that vision was a friend (but not her current boyfriend) in this current life. She herself felt a strong connection with this person and was curious about this ‘feeling’. So, I meditated and consulted Archangel Michael and was told that the two souls had shared several incarnations before and are soul mates. Apparently, in one lifetime, one became the parent, the other, a child. In another incarnation, they had a brother-sister relationship. In that lifetime, my student played the role of a sister. Interestingly, the friend who was in my reiki student’s past life vision also felt that he was formerly a brother to her! Another example was an odd experience for me – a lady sought reiki healing from me but apparently a spiritual being was following/disturbing her when she arrived at my house. A clairvoyant who was with me told us that the being is the departed soul of a friend of that lady. This lady explained that a male friend had just passed away recently leaving behind a wife and kids. She told me that this wife’s life with the husband (i.e. departed soul) was a struggle as he didn’t earn enough to provide for the family. The wife was compelled to take up a job to help out. Oddly, despite her disappointment, she felt she was fated to be with him. Subsequently, the clairvoyant said there was something that the soul wanted to convey so I then asked Archangel Michael for help. The soul’s message was that he and his wife are soul mates and sought forgiveness for any apparent wrongdoings but he also wished to clarify that he was merely a playing a role to help his wife learn certain lessons in life. So, because this soul wanted my reiki client to convey this message to the wife, the soul followed her to my house. In this realm of existence. My experiences are no longer random nor chaotic. I live a Purposeful Life. 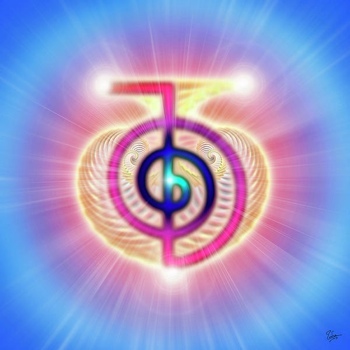 – A message from Archangel Michael as channeled by Ronna Herman. “We can’t attract things that are beyond our belief system.